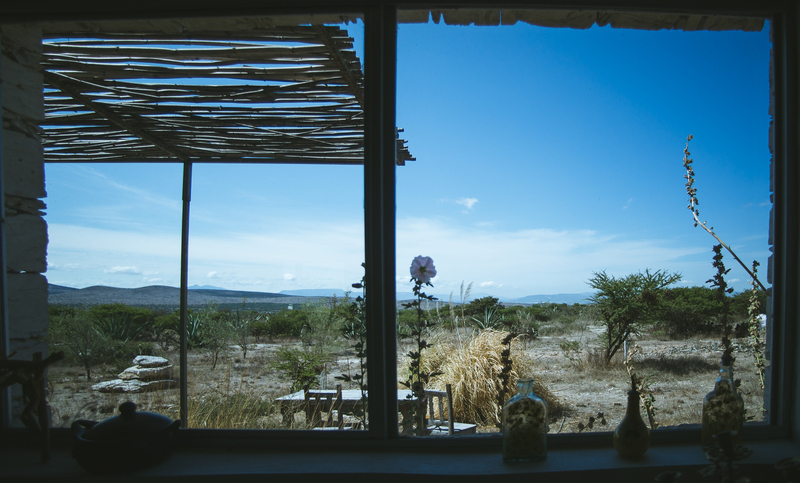 Country living only 10 minutes from the center of Pozos! 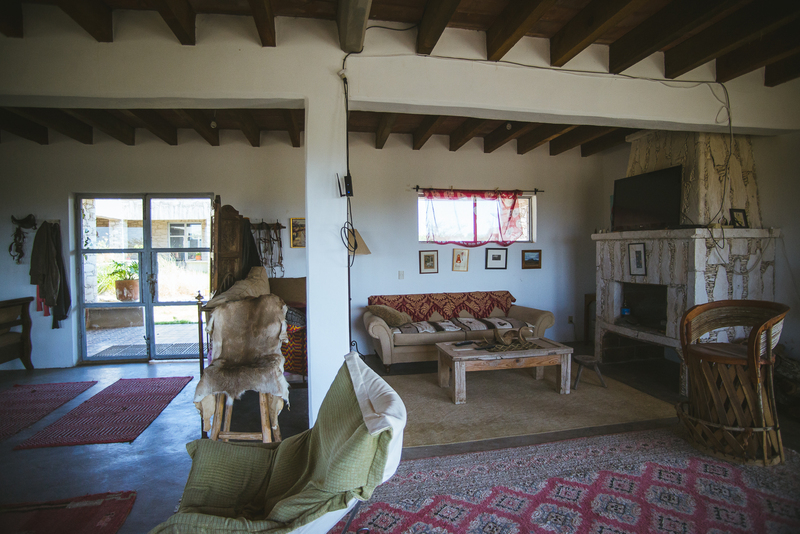 This stylish high desert ranch offers serenity and self-sufficiency. Does your vision for your new home include stunning architecture and expansive mountain vistas framed by picture windows in every room? 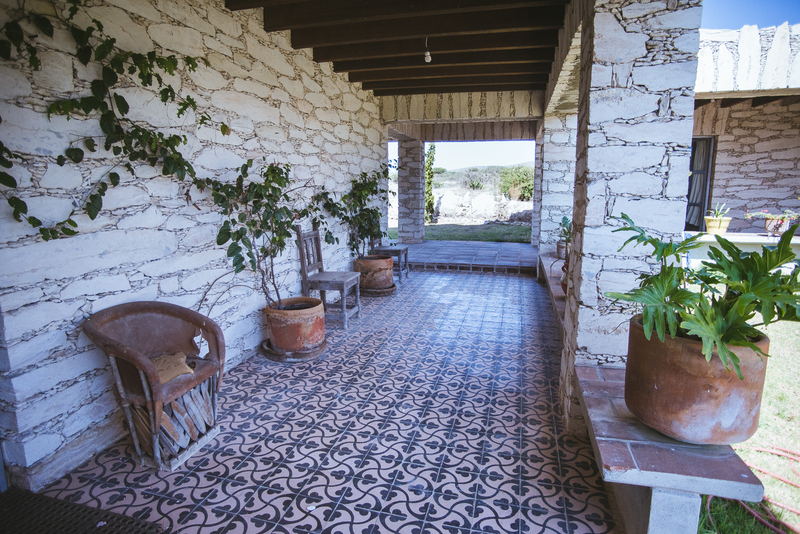 A modern take on a traditional style, the exterior is clad in caliche (local lime stone) with accents of steel. Inside, the spacious living/dining/kitchen area is open plan and perfect for entertaining and family get togethers. At one end there is a cozy seating area around a large, wood-burning fireplace, at the other a kitchen with a chic hammered stainless steel sink. Carved wooden doors lead to a powder room with an onyx sink. Stairs, inset with tile, go up to the huge master suite. 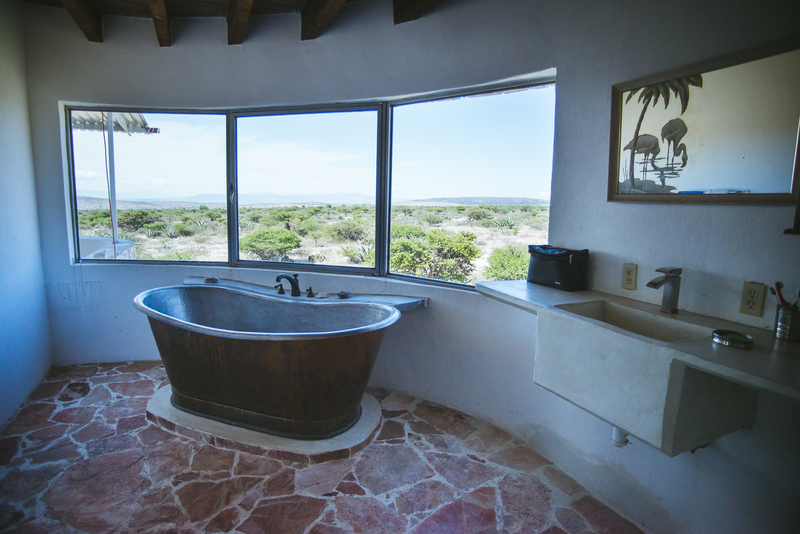 The bathroom features a window-side copper soaking tub and separate shower. Both levels have wide, covered wrap-around terraces for enjoying the breeze or star-gazing. 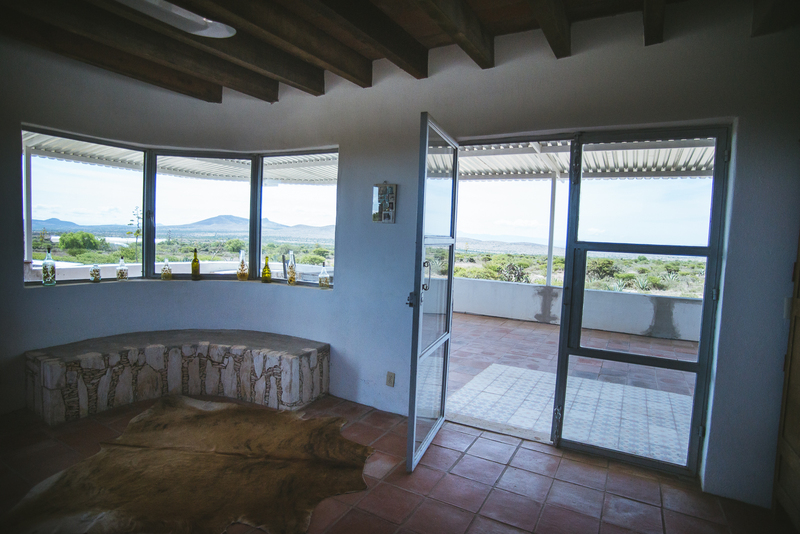 An adjacent wing houses two bedrooms sharing a jack-and-jill bathroom with cement tub. Another wing consists of a huge studio with exceptional natural light and a second large stone fireplace. 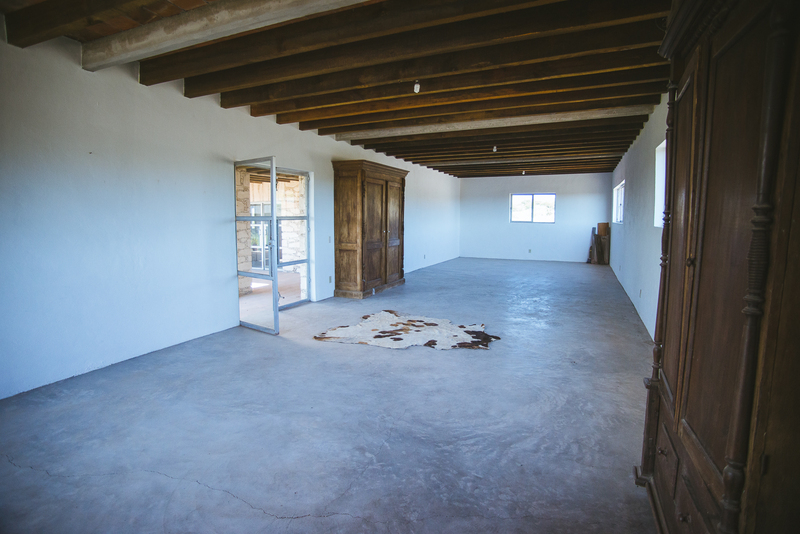 Built by a sculptor, this could now be your art/photo studio and gallery. Or bring your own imagination to the space. 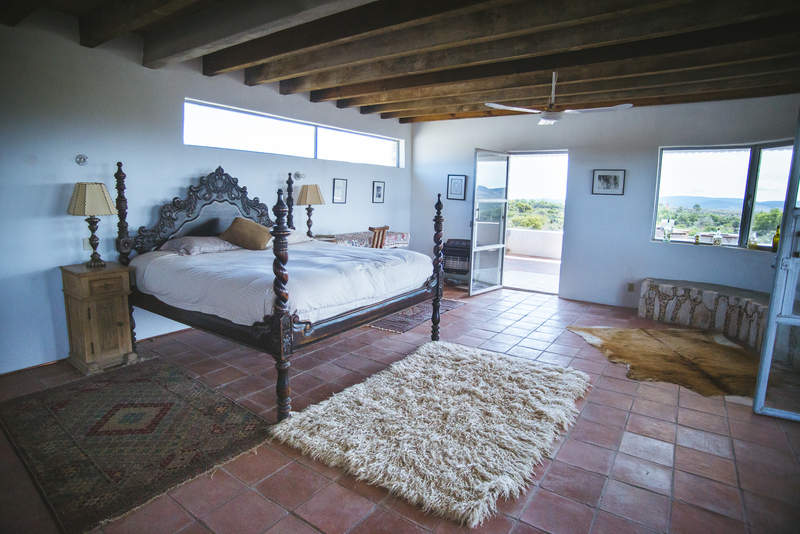 All rooms have wood beamed ceilings and polished cement or tiled floors. Other structures include stables and caretakers quarters. 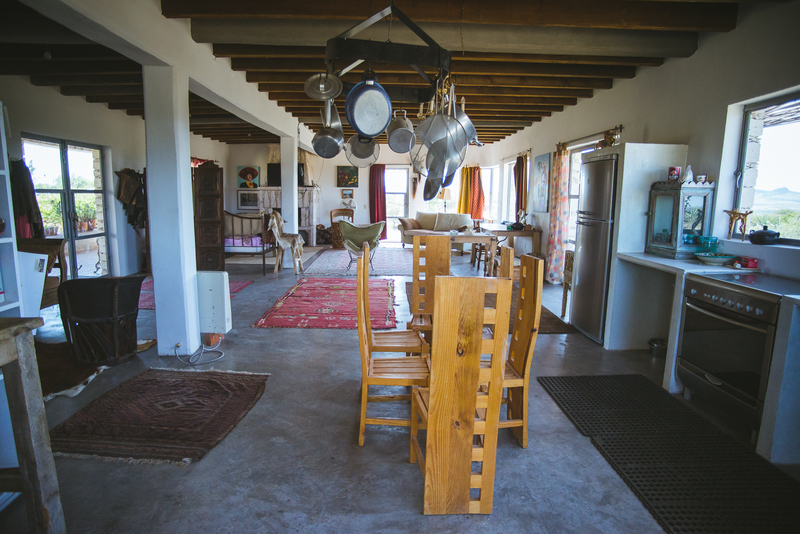 The off-the-grid property is solar powered (with a back-up generator) and has its own water supply. And there is land enough for cultivating your own food. This one has it all!